The Professional Packing Experts at 3-Dimension Shipping have the packing skills and experience to meet every packaging challenge and budget. We can save you time and help ensure your items meet carrier packaging standards and arrive intact at its destination. We specialize in properly packing fragile and high-value items, including antiques, art, electronics, crystal, china and porcelain. If you are not sure about how to pack your items for shipment, just bring it to the store or call 775-867-3232. Our Professional Packing Experts will be glad to help you with your packing requirements. 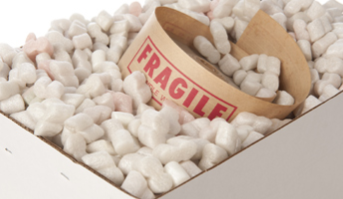 Large or odd-shaped or even very expensive fragile items often require specialized packaging. 3-Dimension Shipping offers custom handling and packaging. If you have questions or concerns, bring your items to the store or call 775-867-3232, our Professional Packing Experts can advise you on the best packaging method needed for your item(s).